Welcome to the July 20, 2018 edition of ACM TechNews, providing timely information for IT professionals three times a week. U of T Researchers Tackle Voter Distribution and Gerrymandering in the U.S.
Scientists on Twitter: Preaching to the Choir, or Singing From the Rooftops? New research from D-Wave Systems describes a quantum computer model with a close resemblance to the bits used in the hardware itself, enabling analysis of quantum phase transitions. This milestone gives researchers complete control over the physical limits of a relevant quantum system as it experiences these transitions. The current D-Wave system can support up to 2,048 individual orientation-flipping magnets and associated control hardware governing which magnets are connected and the strength of their connections. A solution to the problem can be encoded into the system's minimal-energy state, an arrangement called a "transverse-field Ising model," or a cubic configuration of magnets that can flip. An anti-ferromagnet forms if the magnets are ordered into alternate orientations as the system moves in any of the three dimensions, but also possible are disordered "spin glasses" boasting well-defined energies, including a low-energy state. A study by PricewaterhouseCoopers (PwC) researchers of wide-ranging economic trends to better predict how artificial intelligence (AI) will affect the U.K. job market predicts that, although automation in trucks, plants, and other sectors could facilitate the loss of about 7 million existing jobs by 2037, the advent of robots and machine learning software will boost production by 2% annually over the next 20 years. The study predicts 7.2 million jobs will be created subsequently, balancing out the workforce. PwC's John Hawksworth says about 22% of the new jobs will be in health and social work, while demand will increase in other areas "that require a human touch and aren't so easy to automate." The U.K. government last year announced a national retraining program that will prime the workforce to better withstand the job shifts to be brought about by AI. 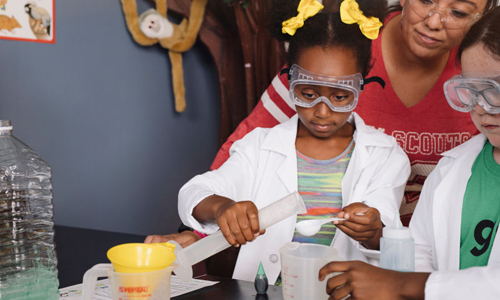 The Girl Scouts announced 30 new badges that will help equip girls with the leadership skills needed to deal with "key 21st century issues," including several science, technology, engineering, and math (STEM)-related badges. The new badges will be available for girls ages five through 18, and are funded by various organizations directly related to the relevant issues. For example, Palo Alto Networks is backing the cybersecurity badge, and the U.S. National Aeronautics and Space Administration's Science Mission Directorate is funding the space science badge. The Girl Scouts organization is “uniquely positioned” to address the “increasingly strong voice of young people who want to change the world and the lack of women in leadership positions in the United States,” according to Girl Scouts CEO Sylvia Acevedo. An international consortium of researchers from Austria, the Czech Republic, and the U.K. has developed a new method of measuring the entanglement of high-dimensional quantum systems that could lead to hack-proof computer systems. The basis of their work is the fact that entangled states can produce shared strings of random data across large distances, and attempts to intercept this communication disrupt the sensitive entanglement between the two particles and expose the attacker. "The most surprising thing about our method is that it requires only two measurements to work, irrespective of how large or complex the entangled state may be," says Mehul Malik of Heriot-Watt University in the U.K. The team used the method to discover that the structure of entanglement can be exposed as truly high dimensional, realizing a nine-dimensional framework of entanglement. The researchers now are exploring a more direct application of this technique to quantum cryptography protocols. 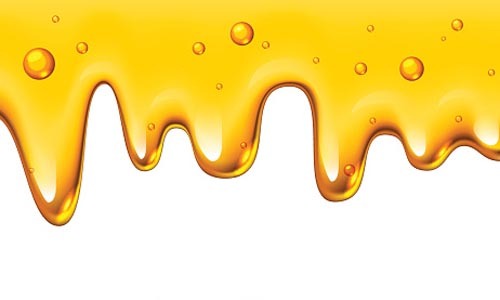 Christopher Batty and colleagues at the University of Waterloo's Cheriton School of Computer Science in Canada have developed a method of precisely animating high-viscosity liquid as part of his fluid simulation research. Batty says achieving this milestone stems from the understanding that "the pressure and viscosity forces that act on [liquids] need to be solved together for the computer animation to be physically accurate and visually stunning." Batty and his team created a technique for coupling these forces in a liquid, yielding a model that simulates viscous fluids more accurately while also retaining fine surface details in the liquid. The researchers' fluid animation can replicate such effects as the classic liquid rope coiling of viscous liquids like honey, or the smooth buckling of a layer of caramel as it is poured onto a wafer. Google DeepMind researchers are challenging artificial intelligences (AIs) to solve abstract reasoning puzzles similar to those used in IQ tests. One particular puzzle involves looking at sets of abstract shapes and selecting which should come next in a given sequence. DeepMind's David Barrett says the researchers evaluated neural-network AIs on whether they could learn more general concepts. Standard networks performed poorly on these tests, with scores as low as 22%. However, a new neural network specifically engineered to infer relationships between different parts of a puzzle scored 63%. "While these structures help specifically with this task, we believe they can also be applied to other problems involving abstract relationships and taking decisions between possible courses of action," says DeepMind's Felix Hill. Data scientists, researchers, and clinicians from the University of New South Wales (UNSW) Sydney in Australia and the National University of Singapore received the top prize in the second annual Healthcare Artificial Intelligence Datathon for analyzing clinical data contained in the Massachusetts Institute of Technology/Philips eICU Collaborative Research Database. The database features information on more than 200,000 patients treated in intensive care units (ICUs) in U.S. hospitals over five years. 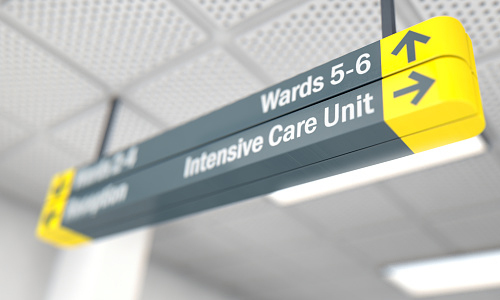 "This is the first time we have worked with such highly detailed data from intensive care settings accumulated over the entire length of each patient's stay in the ICU," notes UNSW Sydney's Tim Churches. "We analyzed all types of treatment interventions, such as medication given to patients, including ventilation support as well as blood pressure records, temperatures, and clinical biochemistry." UNSW Sydney’s Louisa Jorm said the huge amounts of data routinely captured in ICUs could be key to predicting patient outcomes. In the context of Democrats increasingly living in U.S. cities while Republicans live in more rural areas, researchers at the University of Toronto (U of T) in Canada analyzed what the effect of this phenomenon would be on the ability of each party to gerrymander. The researchers developed a simple simulation in which they created 32 districts on a grid. 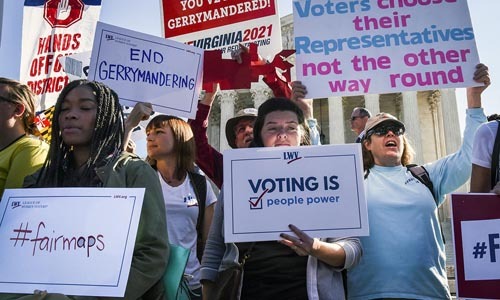 They reasoned if one party encompasses 60% of voters, but can divide the districts in such a way that they can ensure their party will win 90% of the districts, then their gerrymandering power is 30%. However, the researchers admit they do not have a good way of defining the geometric conditions for what a district should look like. In this instance, designing better algorithms that can gerrymander can actually be a positive thing, as it would enable precise measurement of how much power a party has to change the course of an election, says U of T's Nisarg Shah. Researchers at Simon Fraser University (SFU) in Canada found that scientists with fewer than 1,000 Twitter followers primarily reach other scientists with their tweets, while scientists with more than 1,000 followers have more types of followers, including those in the "outreach" category. The researchers reached these conclusions after studying the active Twitter accounts of more than 100 scientists at 85 institutions across 11 countries. The methodology included categorizing followers as "inreach" if they were academics, scientists, or donors, or "outreach" if they were science educators, journalists, the general public, politicians, and government agencies. "Our results provide scientists with clear evidence that social media can be used as a first step to disseminate scientific messages well beyond the ivory tower," says SFU's Isabelle Cote. 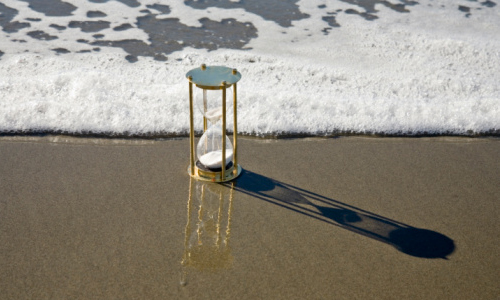 A study by researchers at the University of Wisconsin-Madison (UW-Madison) and the University of Oregon found that rising sea levels could submerge buried fiber-optic cable essential for Internet operations in coastal U.S. regions within 15 years. The investigation suggests more than 4,000 miles of fiber-optic conduit will be inundated by 2033, while more than 1,100 traffic hubs will be surrounded by water. New York, Miami, and Seattle would suffer the most severe impact, which UW-Madison's Paul Barford predicts will ripple across the Internet and potentially disrupt worldwide communications. He notes the danger of this submersion to the physical Internet is tied to the large coastal population centers, which also tend to overlap the points where transoceanic marine cables that underpin global communication networks connect to land-based networks. Researchers from the Xi'an Jiaotong-Liverpool University in China have proposed an authentication method for mobile devices that uses semantically-linked images as a more secure alternative to alphanumeric passwords. Their SemanticLock system uses graphical passwords, as the user selects from a group of images that relate what he or she considers a meaningful, memorable story; to authenticate, the user would view a group of graphical icons and choose only those that related to the story they have chosen. In testing personal-identification-number (PIN) and pattern-based authentication techniques, the pattern-based technique was found to have the fastest logins, while PINs had the lowest error rate. However, SemanticLock stories' memorability was determined to be far superior, with only 10% of test participants unable to recall their passwords. The U.S., Russia, and China are developing centers for military research into artificial intelligence (AI), following their own unique strategies. The U.S. Joint Artificial Intelligence Center (JAIC) will use insights from a U.S. Air Force pilot project. The Chinese center, which opened in the spring of 2017, combines civilian and military research. Russia’s efforts to develop a military AI Center, slated to open in September, are mainly dictated by the Kremlin. JAIC is applying knowledge gained from Project Maven, an AI object-recognition program, across different military services and missions. Russia's Era innovation hub is projected to comprise a 50-acre city by 2020. The American Foreign Policy Council's Sam Bendett says the Russian facility’s "military staff are already involved in various scientific and technical activities." Elsa Kania of the Center for New American Security notes China’s "Tsinghua University...has established a 'high-end' laboratory for military intelligence." University of Illinois Institute for Genomic Biology researchers, working with colleagues at the Mayo Clinic, have developed a computational tool that combines different types of genomic information to make better predictions about the genomic features associated with specific drug responses. The team assembled a panel of lab-grown tumor cells from a diverse set of individuals, and exposed samples to one of an array of common anti-cancer drugs, which allowed them to measure the drug responses of different genetic backgrounds in a directly comparable way. The researchers then developed an algorithm that analyzes data on gene expression, genomic factors that help control gene expressions, and resulting traits. Using this data, the algorithm predicts which genes are most important in determining the resulting traits. "Our end result was testable predictions...a ranking of what experiments to do and verify that this transcription factor indeed has a role in regulating the response to that drug," says the University of Illinois' Saurabh Sinha. The Michigan Department of Licensing and Regulatory Affairs' Bureau of Services for Blind Persons (BSBP) hosted a week-long career exploration lab (CEL) at a training center in Kalamazoo in which blind and visually-impaired students could explore science, technology, engineering, and math (STEM) careers. The CELs employ a hands-on strategy for students, using three-dimensional (3D) printing equipment and 3D-printed models to teach various astronomy topics aligned with the spatial thinking skills of blind and visually impaired learners. The CELs are part of a study whose goal is to aid high school students with blindness/visual impairments, and their educators, as they learn STEM subjects and potentially pursue careers in STEM fields.